The first weekend in November saw the return of Alton Towers Resort’s annual firework display to celebrate the end of the theme park season. The event attracts thousands of people from across the country to enjoy a late night riding experience as well as a spectacular firework display that never fails to impress. Alton Towers Resort currently holds the title of the largest theme park in the UK, therefore expectations were high. Each year, event organisers look for ways in which they can go one step further to ensure that visitors to the event are left amazed by the display. This year Prolight was fortunate enough to be a part of this extraordinary celebration working alongside John Slevin, Production Manager and HSL Entertainment Management who provided all lighting and audio including the Zenith 10K4 Amplifiers. For the event, 3 Main PA towers were used, consisting of 24 Community VLF218 Subs that each ran from individual channels on the 10K4 Amplifiers at 4 Ohms. These provided the music for the fully time coded firework display. The Zenith 10K4 Amplifiers were the perfect choice for this event as they have been designed and engineered to work in demanding environments with military endurance, including installation and touring. With high efficiency TD class technology, allowing for a high power output to weight ratio, and up to 2500W per channel these compact 2U power amplifiers are equipped with an extensive set of protection circuits for reliable operation. Paul Heath, Owner of HSL Entertainment Management said, “I am extremely impressed with the 10K4 Amplifiers from Zenith, they are great value for money and extremely robust, perfect for life on the road”. 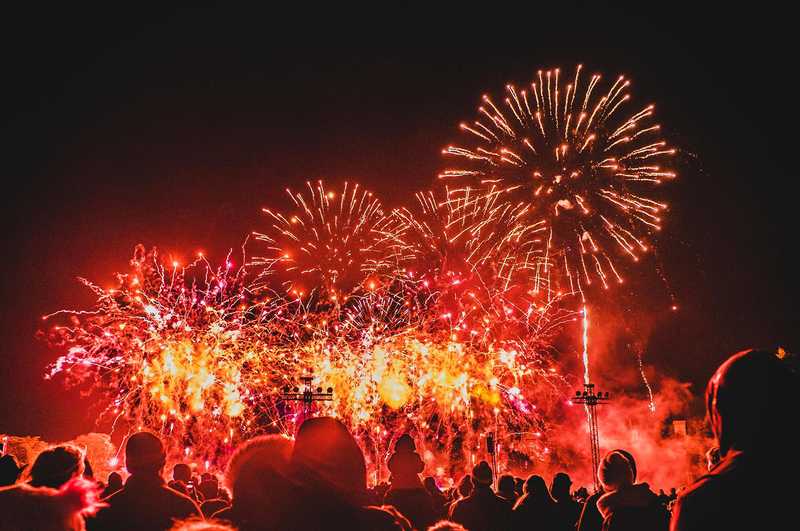 The Alton Towers Resort’s annual firework display proved to be a huge success in 2018 and it was a pleasure to be a part of it. We hope to work alongside Alton Towers Resort in the coming years to help create memorable events and celebrations. For more information on the 10K4 Amplifier and other products in the Zenith range click here.